The kiddos beg me to make them cake pops and I was getting kind of sick of the same old recipe. With that being said, I decided to come up with a unique cake pop recipe and they turned out DELICIOUS! 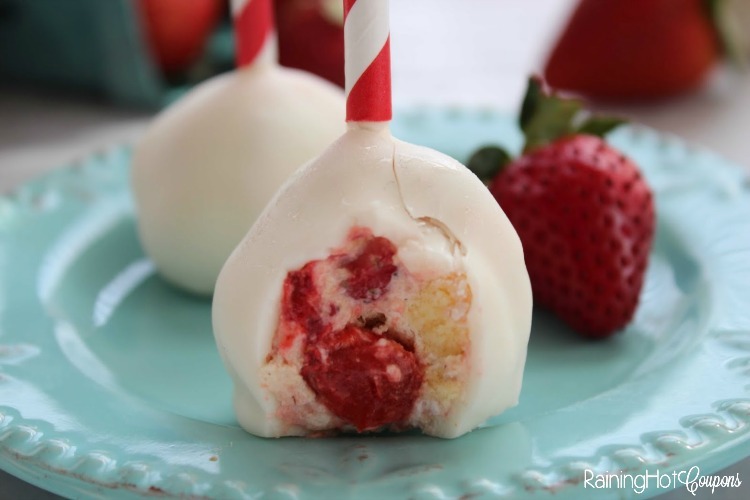 These strawberry shortcake cake pops taste just like a creamy, shortcake and are full of flavor. I dip them in white chocolate (which you can melt yourself or get a dipping tray. Enjoy! 0 Response to "Strawberry Shortcake Cake Pops"